Today, a couple of very different movies about Second World War and how actions of individual, anonymous people could change some big historical events. 13 Minutes is a German movie (subtitles and real German actors, no Brad Pitt or Tom Cruise in sight) and as such a more believable version of what went on in 1930’s Germany. It is especially interesting as a commentary in a debate of how much one person is able to influence fates of others. Anybody who says that an individual cannot change the course of history has never heard of Hitler. This movie is indeed about Hitler to some extent but it is much more about a man whose fate is tied to the Fuhrer’s, and who missed by 13 minutes a chance to alter the course of the Second World War. It’s a true story of a German clockmaker Georg Elser who became so disillusioned with Hitler’s takeover of the German society (and the neighboring countries soon afterwards) that he decided to assassinate him. We watch his slow evolution from a village tinkerer to a determined bomb maker. It is very much a ‘here and now” story-telling. The audience are the only people who have a God-like awareness of the massive world events and consequences that are about to be unleashed by this Austrian politician who is running around Germany with inflammatory speeches. The people in Elser’s village are only aware of their local tensions, their poverty and their slowly increasing political differences. It is quite fascinating to watch a change that takes place in a man who has no political interests or ambitions but who slowly becomes convinced that they only way to stop the course of history is to remove Hitler. He is convinced that one person can change the course of history. Just imagine how different the world politics would be if Hitler has disappeared from the political scene in November 1939! Once the would-be assassin is caught, the authorities concentrate on trying to uncover his co-plotters (there are none) and on proving that he could not have constructed the complicated bomb mechanism unaided (he did). The movie is not for the fainthearted as the torture scenes are beyond realistic. But it is a true story about a man trying to stop a political course that ultimately destroyed his country and 60 million people around the world. 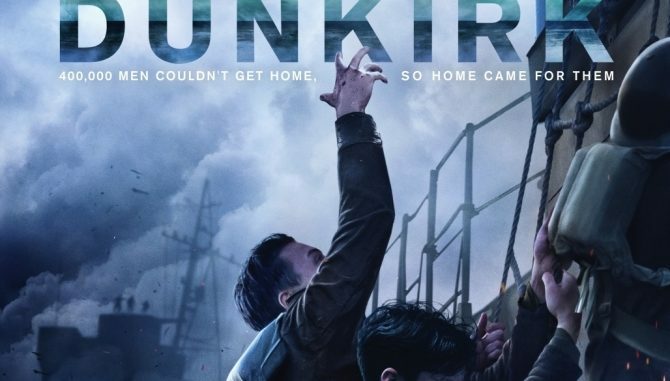 Dunkirk comes with a stellar pedigree- a major release from Warner Bros., a new movie by Christopher Nolan (the cult director of the unforgettable “who is dreaming whom” story of Inception, as well as The Dark Knight and Interstellar) and the cast that includes Kenneth Branagh, Tom Hardy, Mark Rylance, Cillian Murphy and Harry Styles (a film debut of the One Direction singer). For this reason alone, the movie is worth seeing but of course it is always the story that counts. The Brits and all of Europe know this story well; the Americans may not be that familiar with this particular turning point of the Second World War. In May 1940 about 400,000 British, French, Polish and Belgian troops got trapped on the French/ Belgian coast while escaping the advancing German Army. They would have been all slaughtered on that French beach of Dunkirk if not for the rescue by the British Navy ships and hundreds of small fishing and pleasure boats that were launched by Englishmen from their shores. Had the Allies been wiped out in 1940, the course of the war could have been much more different, Great Britain would have to surrender and we could all now be watching The Man in High Castle as a documentary. Dunkirk is an action film and we get some incredible scenes of aerial battles and a gruesome panorama of troops being attacked from land and sea. What is most remarkable in the story though is that message of hope and victory against all odds. There were over 300 small boats that ferried the soldiers off the beach to nearby larger ships – most of them operated by civilians who rushed into the sea battle to save “the boys in need.” While technically this was not a victory as the Allied army got pushed out of France all the way to the water edge, the Dunkirk evacuation of over 300,000 soldiers has galvanized Britain into the spirit of resistance and started the road to an ultimate victory. Dunkirk is much easier to watch than 13 Minutes but both pose the same “what if…” question how much ordinary civilians could change the course of history.